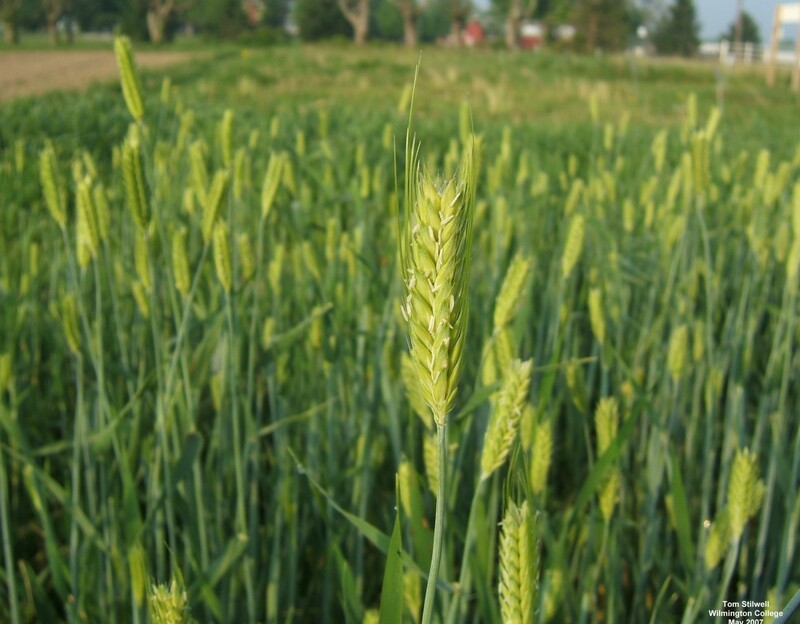 Find all posts from the 2014 Governor’s School for Agriculture here. Move in day at Virginia Tech was rather eventful; in the madness of meeting new people and trying to settle in, the Southern Virginia sky opened on us little Gov School Goers and began to pour. Luckily, the ever changing Hokie weather only added interest to our day. The experiences the five members of Group 16 have had are as diverse and exciting as the dynamic sky floating above us. One of the best activities Mary Croghan participated in was the Cascade Hike that occurred the first week of Governor’s School. The hike bonded Mary and her peers, and gave her a chance to see a breathtaking natural wonder of Virginia! Abdullah Choudhury is the only boy in Group16, but his computer skills and sense of humor lets him hold his own in the group! Like Mary, he was amazed by the beauty of the Cascades, and he thought the hike was a fantastic way to spend a Saturday with friends. Kelly Fish had a similarly amazing experience with belly dancing! She never danced in a class before, but learning to belly dance gave her the opportunity to hang out with people who love to try new things also! Meghan Chen is a member of the Agricultural Engineering major, and the group planted trees as one of their first activities together! Unfortunately, she pulled her back sowing the saplings. Luckily, she pulled through, and has learned a lot about humanity’s responsibility to ensure water quality! Ester Wisdom is a member of the Veterinary Medicine elective! The elective’s first day of class greeted them with a quirky room and a brilliant teacher, Doctor Yi. Doctor Yi explained to the students about all sorts of animal toxins, ranging from rat poisons to detergents! Finally, the kids got to enjoy grapes, chocolate, and macadamia nuts, which are all coincidentally toxic to animals. The Virginia Governor’s School for Agriculture is a once in a lifetime experience. While other teenagers sleep half the day away and pig out on junk food, we have had the opportunity to see and learn in a way that is usually only available with a college tuition. There is hard work involved in our summer at the home of the Hokies, but here in Group 16, we would not change our few weeks of Governor’s School for the world. Going into the Governor’s School for Agriculture, one simply has no idea what to expect, but your predictions don’t make the program seem too fun. You expect a heavily structured and almost patronizing atmosphere created by the leaders in addition to being surrounded by weird nerds 24/7. This perception soon gets flipped around once you realize that you too are a weird nerd and that together, everyone at this place is odd and quirky but so awesome. There is a lack of high school-style cliques that are ever-present in Northern Virginia especially. The atmosphere here is something so rare and special. Every day at Gov School is so long and so short at the same time, and you are forever struggling with feelings of homesickness and never wanting to leave this place. The classes have some definite ups and downs, from testing pollutants to sampling bugs. As far as teachers go, they are all very enthusiastic, some bringing cookies to class and others are rather zealous about reproductive systems (shoutout to Sammie). In addition to these classes, there are endless opportunities, from belly dancing classes to simply hanging out with your friends, ordering a pizza, and cheering so loudly for your favorite team in the World Cup. While we all miss parts from home, like our favorite pets or our parents’ cooking (that would be a remarkable alternative to D2), this experience is undeniably a great one. They say this is a kind of prequel to college, and if that statement has any truth, we’ll be in for a good time within the next year or two. Though seemingly a month-long extension to the school we tirelessly complain about for months on end, Gov School is much more. While we are academically challenged and given, at times, a lot of work, it’s all worth it. We are over halfway through this remarkable experience, and we’re certain we’ll miss this experience and the amazing people we’ve met here. Nerd camp is definitely the move. Man, it has been such a blast at GSA it’s hard to comprehend how quickly it is going. Everything has changed so much from the first day we got here. Everyone was nervous and scared to talk to other people at first, but as the dust settled and the atmosphere changed everyone started talking and having a great time. We thought that the GSL’s would be for the most part separate from the students, but they have become a part of everyday life here. Each and every one of them is friendly and easy to talk to. They are even awesome enough to take us out on trips to Blacksburg for dinner, giving us a break from the same old D2 food. They hang out with the students and will even play cards and watch movies with us. If any one of us ever has any sort of concern or just wants to go somewhere off campus the GSL’s are always ready to help. Off campus field trips and other events are definitely a great part of GSA. The trip to the beautiful, freezing water of the Cascades was out of this world. The trip Kentland Farm, beef, swine, horse, and sheep teaching units was a great opportunity not only to learn a lot, but also to relax and get hands-on experience, not to mention seeing some really cute animals and a recently shaved, sassy looking cat named Slim. The plant side of the trips to the farms was also extremely fun. Gordon Jones gave us a ton of useful information on the subjects were are researching. He was even able to make watching grass grow very interesting. Not only are the field trips fun but the van rides to and from the field trips are also very fun, and they reveal a lot about the GSL’s. For instance, in Lauren’s van the student riding shotgun gets to be the DJ. We also found out that she loves Justin Timberlake, and when we say loves, we mean absolutely goes crazy if he comes on. In Adam’s van, he is the polar opposite of Lauren; instead of freely letting the person riding shotgun pick the music, he gets “very touchy” with the radio. He likes to pick the station and doesn’t want anyone fidgeting with the stereo. Even better than going on educational field trips is letting lose and having fun at midnight bowling. Everyone seemed to have a great time bowling. There was some competition going on, but in the end everyone was just happy to be out partying and having a good time. Special S/O to Lillian Waddill for getting three strikes! Congratulations to everyone else who had good bowls. To those of us (including Alec Friedman) who did not do so great, we all still had a great time. So many people went all-out dressing up in neon and having glow sticks all over. Outings like midnight bowling and the soon to be movie are great opportunities for everyone to bond and have a great time. We hope to see you all at the movie and be sure to bring tissues, a snorkel, and goggles because streams of tears are guaranteed. Pay attention in class! Even if we’re outside. Actually, especially if we’re outside. Please, don’t make your roommates hate you by giving them an early bed check. Take advantage of all the beautiful sights. How often do you see a double rainbow? Like, never. So like it. Better yet, love it. Make your roomies feel special. If it’s their birthday, let them know you care. They’re away from home for a whole month. You are too, but it’s not your birthday. Or if it is, make sure your roommates make a whole big fuss about it. Party hats and birthday décor galore. Be adventurous. There’s plenty to do while we’re here, so take advantage. Go for a hike in the Cascades. Swim in the ice cold water. Why? Just because you can. Perfect logic, I know. Be prepared for the field-trips. They’re pretty awesome. For example, we just went to Kentland Farms. We saw crops. A lot more interesting than it sounds, I swear. But make sure you wear sunscreen. And bug spray. Lots of bug spray. Because bugs are gross. Make friends. I probably should have mentioned this earlier. But actually, make them. Trust me, you’ll need them. Especially if you’re not into hanging out alone. But if you are, well, I guess I can’t judge. To each his own, right. Love your country. We have fireworks that look amazing. Fourth of July and all that jazz. ‘Murica. WALMART! Take advantage of the Wal-Mart trips. Even if you’re not going, you can always make your roommate (or one of those friends I mentioned earlier that I really hope you made) get whatever you need for you. Although, that comes with the caveat that you have to get stuff for them if you go. And you might end up with a lot of bags. But it’s okay. Wal-Mart is worth it. A little slice of heaven. Honestly, the most important thing for anyone to do here at this beautiful, wonderful governor’s school is to get into it. Let your hair down, be yourself, and have fun. We’re here for a whole month (I’ve probably already mentioned that), so don’t be a Debbie Downer. No one likes those. Anyway, these are people from all over the state, and we’re all different. Embrace those differences, and get to know these people. Be open to new experiences, you never know, you might meet your best friend here. Or your future boss. Pizza, the fuel of champions. FIFA World Cup, the field of champions. Food security research, the work of champions. Extraordinarily, destiny saw it fit that these items would meet in Newman Library on the campus of Virginia Tech. On this fateful day, the members of this alignment each faced herculean tasks: the US Men’s National Soccer team to beat the Belgians; the research group to formulate an outline; and the 28-inch pizza to satisfy the research group. The research group, dynamically comprised of Liz Manero, Aly Kamis, Jackson Zagurski, Luc Thomas, and Amy Zhang, sought to discover the benefits and limitations of international food aid and to propose solutions to key problems. Their quest wasn’t without challenges; they had to overcome their diverse ideas, working habits, and natural roles as group members, loosely defined by their KAI score. Since the dawn of their journey, this vanguard of food security has grown into a unit, bonded by hard work, collaboration, and corny jokes. The future of the group appears bright, as it peeks over the horizon of time. Food security faces daunting problems that must be solved for humanity to advance and prosper. Expect great things from this group, dear reader, as they attempt to contribute their work to the field of agriculture. It was a dark and stormy night, and we were sitting in the dreary, drafty Litton-Reaves auditorium. Dr.Friedel introduced us to two representatives from the VALOR (Virginia Agricultural Leaders Obtaining Results) organization to teach us about agricultural careers and the importance of making connections with other individuals in the field. The two speakers were complete opposites: one had dreamed of living on a farm as a child, the other had worked on his family farm since he was five and wanted to get away when he was younger. Each gave their life story and how they began careers in agriculture.Benjamin Grove had worked in poultry as a quality assurance worker for Tyson’s and the farmer, Ian Heatwole, had basically worked on his 1,000-acre family farm his whole life. A lot of people were interested in the future of agriculture and asked a lot of questions about new methods so Ian told us about his future improvements for his farm, like robotic milking and automatic feeding. People also applied what they had learned in our Biotechnology and Plant science class and asked questions about his planting techniques (conventional, conservation, or no-till methods). After the detailed lecture about the future of the agricultural industry, we made our way out of the auditorium, and those who had mail went to get their packages, the others started to head back to our dorm only to see that the sky had opened up and it was pouring. Everyone made a mad dash to get back to the dorms, some sacrificing the packages that their families had taken time to send them for the greater good of protection from the rain. The marginal cost of getting their mail wet was not nearly as great as the marginal reward of staying dry. Naturally, the rain stopped as soon most people returned to the dorm and low and behold the most amazing thing any of us had seen all day appeared from around the corner of a tree top. Not an example of agriculture, education, or really of an importance at all, it was simply generated by sun shining through hundreds of tiny water particles all focusing their light to create a rainbow. All across campus Gov School students stopped whatever they were doing to look upon this totally majestic double rainbow; a gift after a long day.